Appium is a very popular open-source tool, used for automating various mobile, web, and hybrid applications on Android and iOS platforms. Appium acts as an middleware to interpret selenium commands to mobile actions and vice versa. For testing mobile apps, All you need to do is set Appium environment on selenium and mobiles, and use selenium commands as it is. Please check the curriculum for more information. 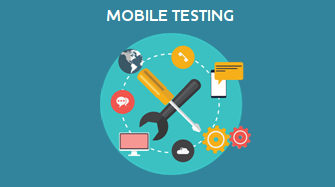 QA, BA and anyone who is interested to know or use Appium for mobile app testing. Needs prior knowledge about software testing fundamentals and Selenium WebDriver. Look “Fundamentals of Software Testing” and “Selenium Automation Testing” from our portal. You will be working on different projects. You will practice on interview questions from day one. how to inspect hybrid apps? 7 years of IT experience in software testing, quality assurance and quality management.